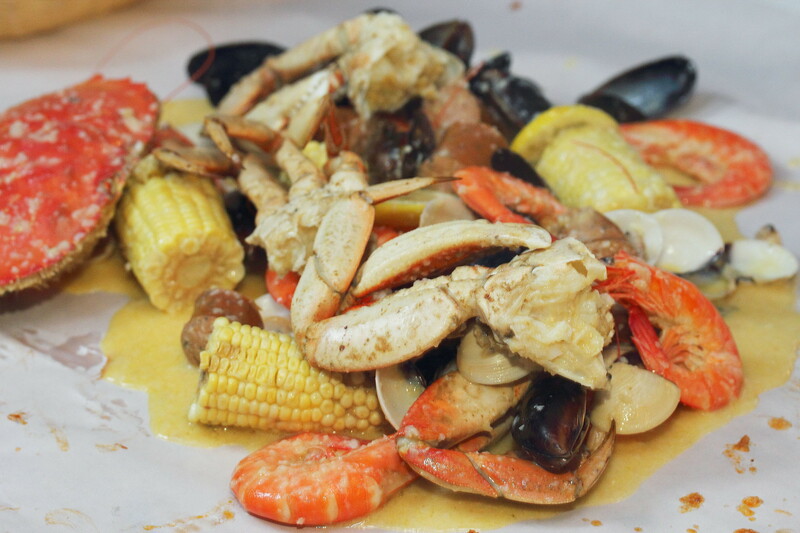 A new seafood joint has opened in the industrial area of Tai Seng by a group of bankers. 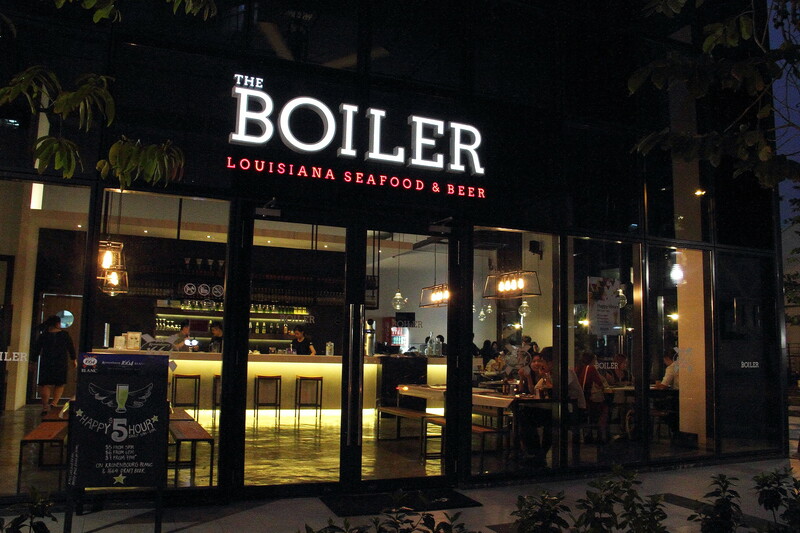 The Boiler is a South American inspired seafood joint that serves up fresh seafood in Louisiana style. The spacious premises, high ceiling and its communal dining setup sited at the heart of Tai Seng industrial area stand out like a shining gem among the concrete forest. I was there on a Tuesday night and the restaurant is packed with diners. Besides being a seafood joint, The Boiler also offers imported French and Louisiana crafted beer. 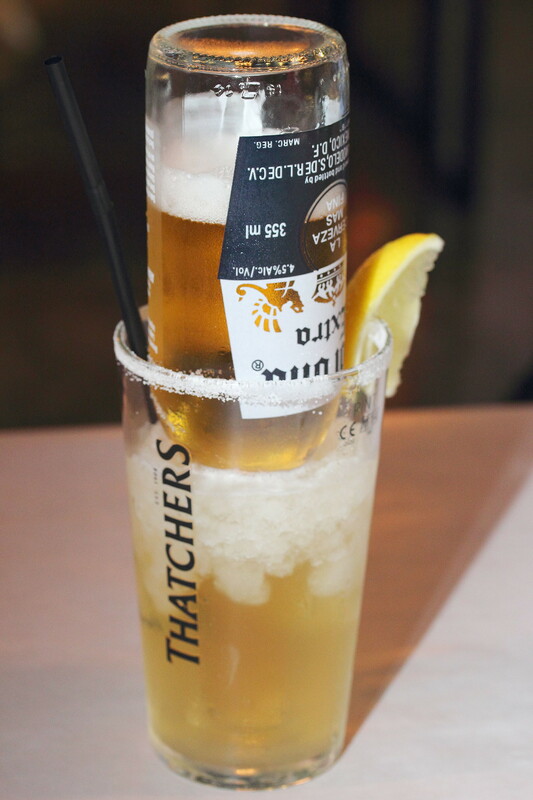 Not to be missed is there signature interpretation of the margarita, Beerita ($11.90). This is indeed a refreshing start to my seafood dinner. 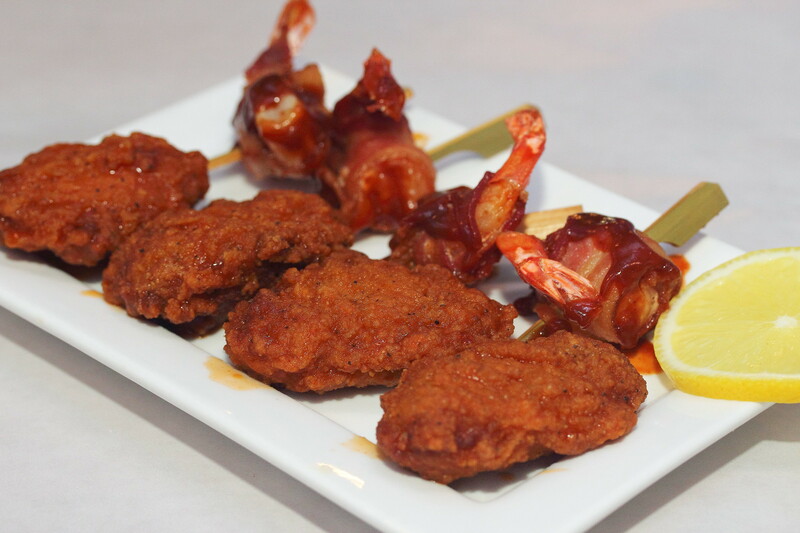 We started our dinner with some like bites in the Bacon Shrimp ($11.90) and Louisiana Spicy Mid Joint Wings ($8.90). I thought the bacon shrimp was rather average. The prawn was too dry for my liking. On the other hand, the wings was excellent. The tangy marination plus the crispy and juicy wings won me over. 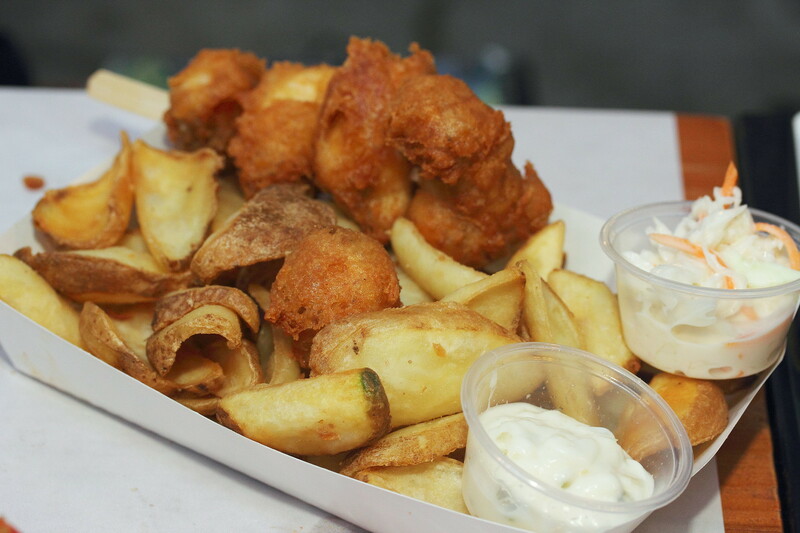 A surprise discovery at The Boiler is the Fish & Chips ($12.90). 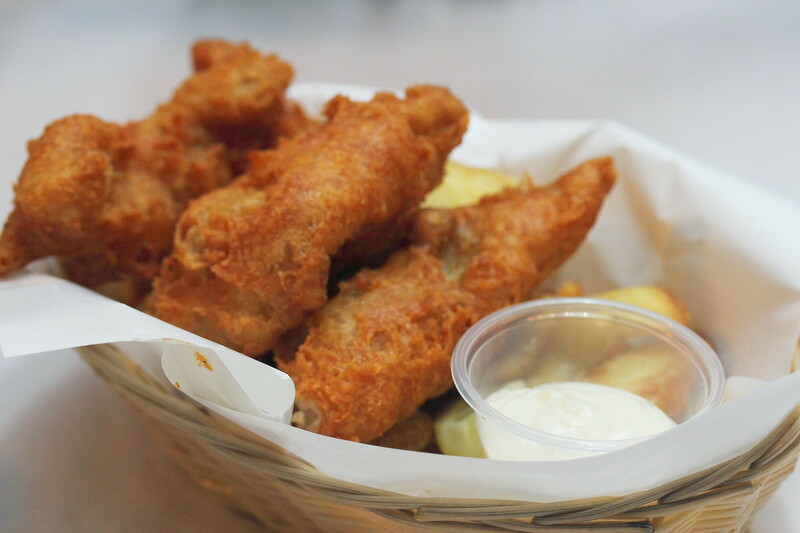 This is probably the best fish & chips I have ever eaten. 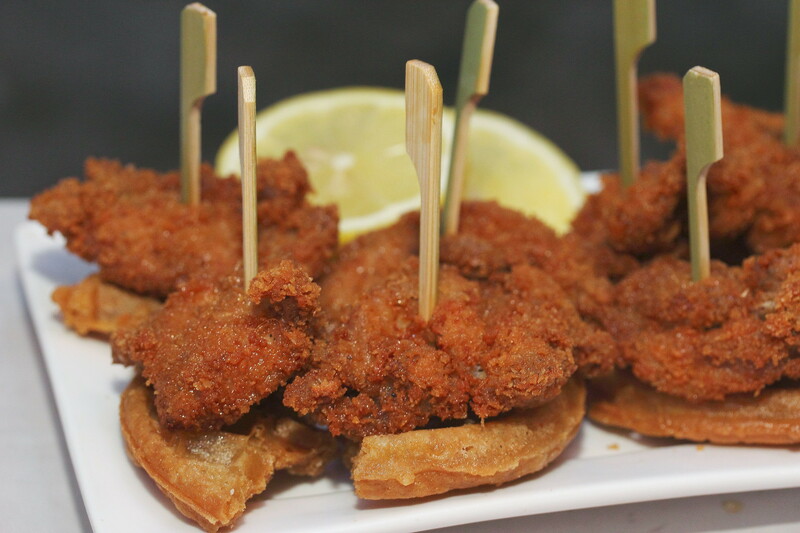 The fish was extremely moist under the crispy batter coat. It somewhat felt like the fish was coated in a fried chicken batter. You just need to experience it to know the different. By now most will know that I am not a big fan of sweet and savoury combination. The South Chicken & Waffles with maple syrup ($9.90) maybe interesting for many but not me. However being objective, my praise went to the tender, juicy and crispy southern chicken. I would gladly enjoy the whole piece of the southern chicken myself. An interesting item on the menu is the Lobsicle ($15.90 half/ $28.90 full). This is probably one of the first in town with the lobster flesh being coated in a batter and deep fried. Sad to say, it did not manage to wow me. Now let us move on to the star of the restaurants, the boiled seafood with their special homemade sauces. 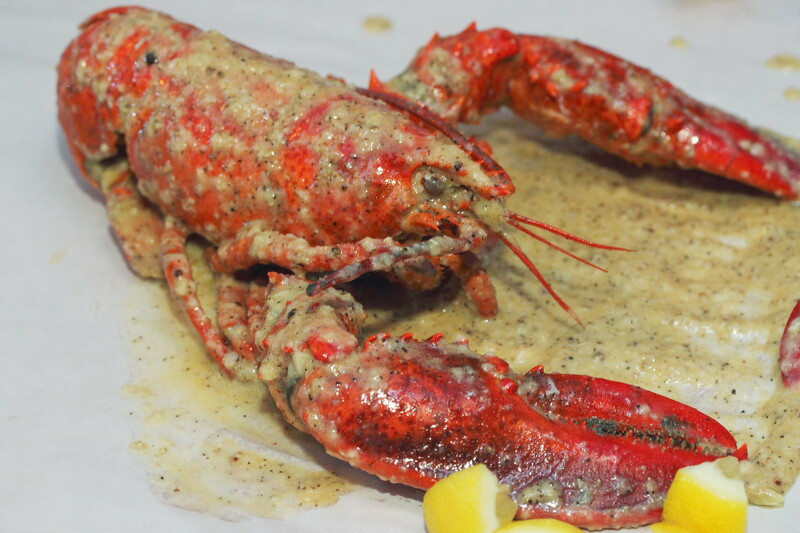 Currently until end of the month of September 2014, The Boiler is have a special promotion for their Boston Lobster ($75), going at $49 per piece. 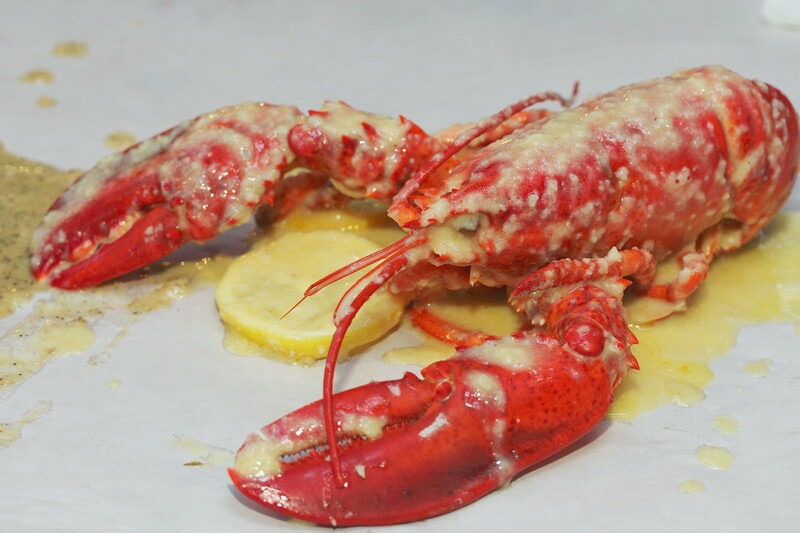 The boston lobster can be cooked in a choice of Garlic Butter, Peppa's Butter or The Work which has 3 level of spiciness. Boiling lobster simply allows one to enjoy the natural sweetness of the flesh. For me, the difference of Boiler to other similar joints is their sauces. I have the opportunity to try all the 3 sauces and I have enjoyed all of them. No wonder the co-owner has been tight lip about the recipe of the sauces. Similar to the concept of Crab in de Bag, the seafood is boiled and served in a bag with the sauce. You can choose to eat from the bag or pour them out on the table. There is only one rule. Be prepared to get your hands messy. We tried the Boiler's Bombdiggity Bag ($139) which is good for 4 person. 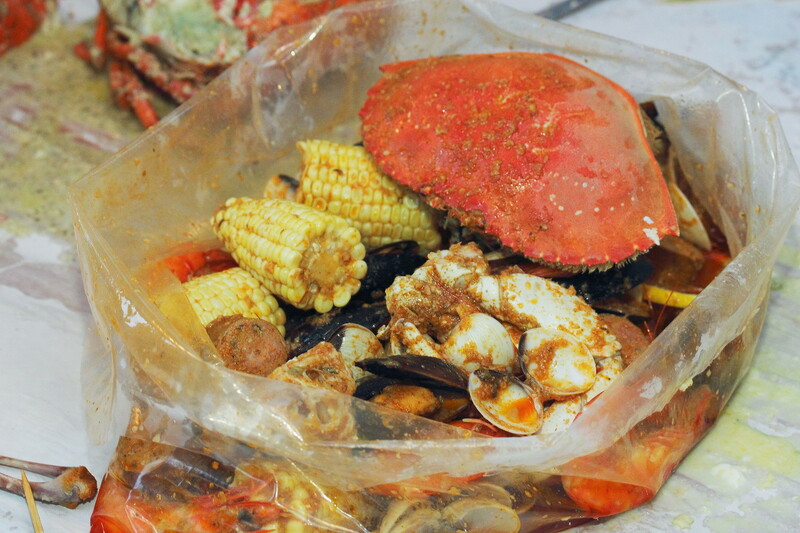 In the bag there are dungeness crab, prawns, mussels, clams, sausages, corn & bun. For a smaller group, you may opt for the Boiler's Duo Bag ($49) which is good for 2 person. It comes with everything per the bombdiggity bag except the crab. Similar to the boston lobster, there is a choice of 3 sauces, Garlic Butter, Peppa's Butter or The Work which has 3 level of spiciness. There is not much I can complain about the food or ambience. It definitely got the ticks from the group. My only warning is that it can be pricey however do note your are paying from fresh and quality seafood.